When it comes to choosing bedroom furniture, it can be hard to know just where to start. Once you’ve found the perfect bed, how do you fill up the rest of the space in your room so that it is both functional and beautiful? Oftentimes, the best next step is to choose a dresser. The dresser in your bedroom often serves as one of the main focal points in your room. It not only helps you store and organize your clothes and other personal belongings, it adds striking visual interest to the bedroom since it is one of the larger furniture pieces. Once you choose your dresser, it can help you determine what other furniture you may want to add to the room to complete you overall bedroom design. First, you need to determine what size dresser will be best for you. Before you begin looking at dresser options, figure out where in your room you want your dresser to go and measure the space. This will help narrow down the available options. Also, consider what you need to store in your new dresser. Do you have a large closet or other storage options in your room, or will you need the dresser to serve as your main storage unit? 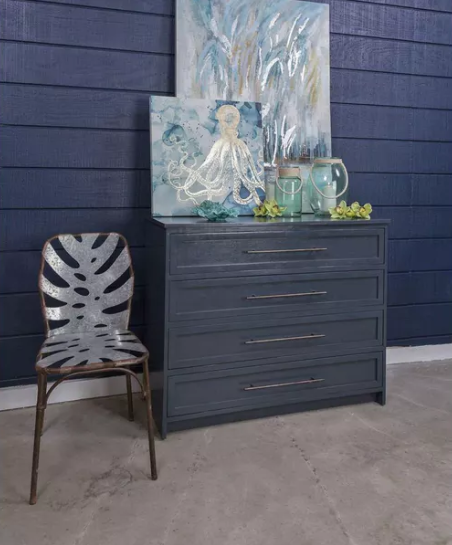 Do you have other tables, nightstands, or flat surface storage options, or will you want a dresser with a large surface area to display photos and decorations? Next, consider what kind of dresser you prefer. Some dressers are waist-high with a wide surface area that is perfect for showcasing a jewelry box or a collection of photographs. A chest-of-drawers type of dresser will be taller and thinner, but ideal for rooms with less available floor space. Once you know what kind of dresser you need, you can focus on the style of furniture that you like best. 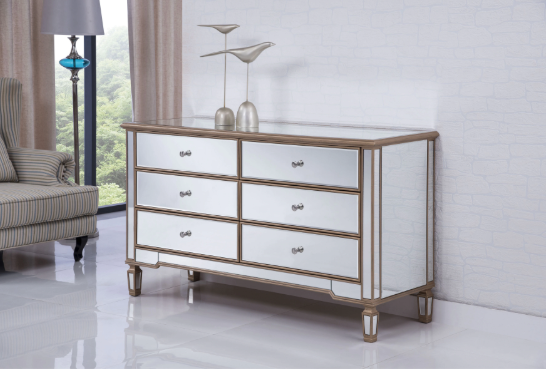 Dressers come in a variety of materials and design options so you can customize to match your own style preferences. Do you prefer a more contemporary or classic look? Are your sensibilities more urban or rustic? What colors are featured in your bedroom? Ideally, you want to choose a dresser that will be both durable and complementary to the style of the rest of your bedroom design. Lastly, you will want to consider whether you want any additional furniture pieces to go along with your new dresser. Maybe you also want a new set of corresponding nightstands, or an armoire that can provide extra storage? Consider how all your pieces of bedroom furniture will work together in terms of both functionality and style. Do you have enough furniture to meet all your storage needs? Do you want your furniture to be a matching set or do you prefer a design in which the furniture pieces contrast with each other? For more bedroom furniture design inspiration, check out Going Décor’s collection of dressers, chests, nightstands, and armoires!